Despite temperatures of over 30˚ in the shade, the sunshine could do nothing to stop real estate professionals from engaging in the heat of the contest on the scorching sands – but maybe because it meant more than just mere fun and exercise, since all the money from the teams’ registration fees, the charity auction that followed and the donations collected on the day was to go towards Stowarzyszenie Rodziców i Przyjaciół Dzieci Niewidomych i Słabowidzących “Tęcza” [The Rainbow Parents and Friends of the Blind and Visually Impaired Association] for the refurbishment of a children’s centre and the construction of a sensory therapy garden next to it. A record PLN 767,000 was raised – PLN 667,000 from registration fees, the auction and the individual donations made on the day as well as a further PLN 100,000 later added by Globalworth. Any remaining funds are to go towards purchasing ophthalmological equipment. “Each event has broken the previous record for the number of teams, sponsors and partners, and – most importantly of all – for the amount of money raised,” commented Tomasz Trzósło, the managing director of JLL in Poland. 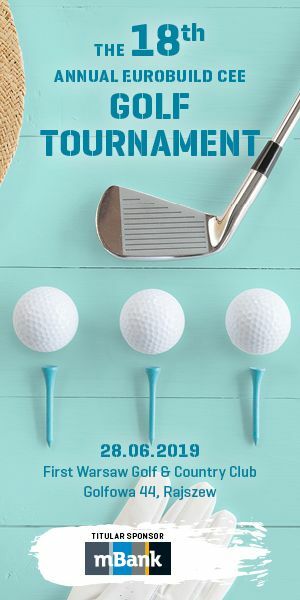 “I’m glad that, along with other leaders of the real estate sector, we have been able to combine a healthy rivalry with a very good cause in an annual event that is eagerly anticipated by many. And the most important thing is that every year we help children in need,” he added. According to JLL, the total raised by the event over its nine-year history now stands at PLN 2.3 mln. Just as in previous years, the Polish Volleyball Federation was the honorary patron of the event, in which 56 teams and 392 players took part, while around 2,000 guests attended. The team put together by Dekada/Boig were the champions on the day, with PZU and MLP Group joining them on the podium. “I wish to thank all the players, attendees, sponsors and patrons for their active participation and generosity, as well as Panattoni, Globalworth, JLL, BNP Paribas Real Estate and Gleeds for their enormous contributions. It is a truly fantastic feeling to see how each year the entire real estate sector comes together for such a great cause - to help the youngest members of our society,” added Tomasz Trzósło.